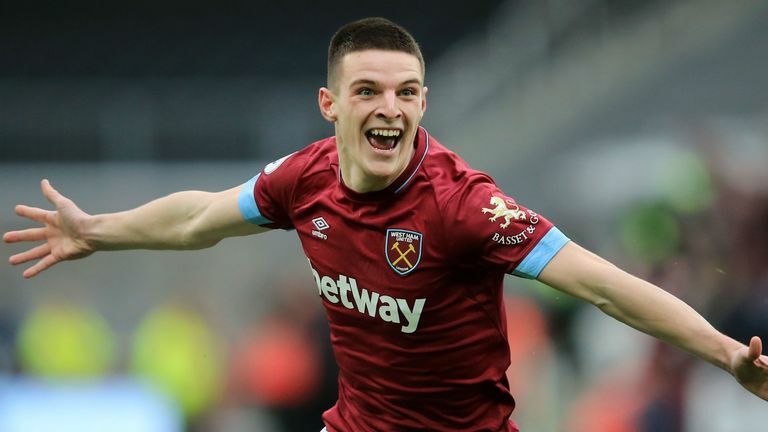 Gareth Southgate is keen to include Declan Rice in his next England squad in March, but FIFA’s procedures for transferring his international status may make that impossible, Sky Sports News understands. Southgate has been impressed by the 20-year-old's performances for West Ham this season and - having consistently promoted young players in his squads - has always said publicly that he is keen to pick players who are in-form for their clubs. Rice has thrived since moving into a midfield role this season and decided on Wednesday that he would pledge his senior international future to England despite playing in three friendlies for the Republic of Ireland. He will not be allowed to take part in any England training sessions until his international status is fully cleared, and a FIFA spokesperson has told Sky Sports News no request has yet been made by Rice to change his association. Southgate met with Rice last autumn, while the midfielder was still considering his international future but Sky Sports News understands that, in private, the Football Association consistently stressed to Rice and his representatives that if he took the decision to switch allegiances, there were no guarantees he would be straight away selected for England's senior team. However, the quality of Rice's play since then, and his ever-increasing influence within the West Ham team, has pushed him to the forefront of Southgate's mind. Rice told Republic of Ireland manager Mick McCarthy and the FAI of his decision to play for England on Wednesday. FIFA's rules for transferring a player's international status are strict and can be time-consuming, including passport checks, looking into his schooling and family ties. Rice's grandparents are Irish, and he played through all youth ranks for the Republic, but he was born and grew up in London. England's latest squad for the Euro 2020 qualifiers against the Czech Republic and Montenegro is due to be named in around a month. Sky Sports News has been told it could take anything between two and six weeks for them to give formal consent for Rice to play for England. That process has only just begun, with authorities only acting when a player officially announces his decision. In 2016, Aston Villa midfielder Jack Grealish made a similar decision and it is understood paperwork took five to six weeks to be completed.